Your toddler is so active now! At 2 and 3 he or she loves to make noise! Whether it’s banging pans in the kitchen, splashing in the bathtub, or playing a game on your phone or ipad, your little one wants to hear and make noises. While this may drive your batty, don’t despair, its really his or her way of showing you how much they love music! Your child is finding his or her “voice” they want to communicate and learn about themselves, you, and others! 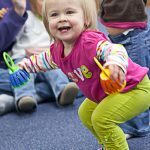 That’s what Kindermusik Wiggle and Grow, a children’s instructional play program for toddlers and families, is all about for your toddler! This music-filled class celebrates the unique joys of your growing child. Each week your child will love singing, dancing, and playing instruments with you and her new friends and you’ll love helping her practice a wide variety of abilities such as gross and fine motor skills, turn-taking, social skills, and active listening. In class, we’ll also share tips and ideas for using music for activities for toddlers throughout the week. Plus, the fun (and learning!) continue with the Kindermusik@Home digital home materials, i ncluding music from class, musical activities, and each month’s story. One of my favorite stories from Wiggle and Grow is how one little guy loved the sound of the oven timer. We would listen tick, tick, tick, tick… wait for it… BEEP! He loved the excitement the anticipation of the “beep” sound brought and jumping up when the oven timer was ready! Of course he wanted to do it over and over and over again! So much fun! 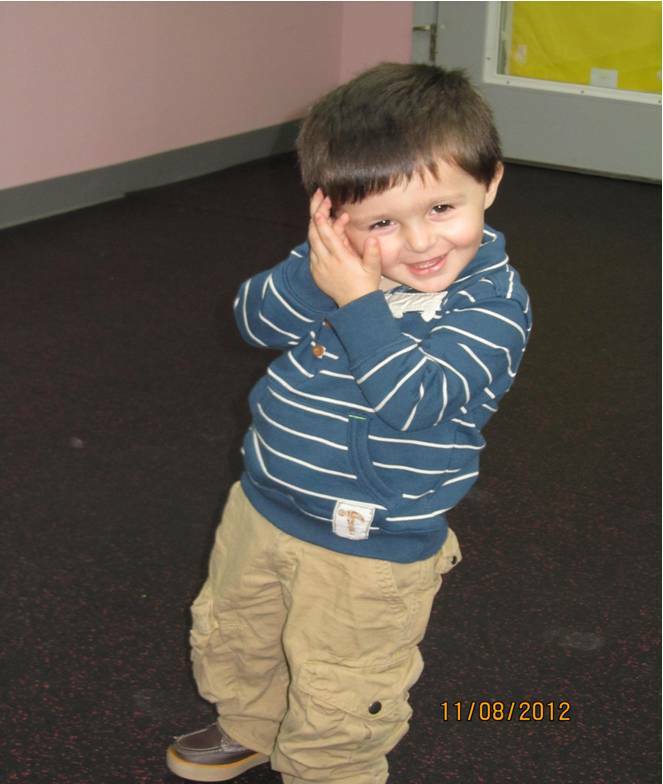 Find out how much fun on our class schedule page! Check to see if this class is being offered in Smyrna, Georgia. We are currently having a great time in Wiggle and Grow Family Class. Wiggle and Grow Family is for ages 0 -7 years. So if you have two children and would like to bring them to one class, its a great way to help the younger children learn from the older ones and see where they are going in life. Its also great for the older ones to learn how to interact with younger children. Knowing how to interact with people of different ages is an important life skill. When children are out of school there will be many different ages and stages of life that they interact with. See which class will fit your schedule, today!